With typical Dixie pride, South Carolinians are gearing up for their presidential primaries, which bear the distinction of being “first in the South.” The deeply conservative and religious state’s voting will kick off this Shabbos with its Republican primary, which garners the bulk of attention given the “deep red” nature of the state, followed by the Democratic one the following week. Hamodia reached out to members of South Carolina’s proud and historic Jewish community to hear their take on the political climate in the Palmetto State. How is its small Orthodox community participating in the widespread public excitement and meeting the challenge of voting — when both primaries are being held on a Shabbos? The letter gives clear instructions as to how voters can arrange to cast their ballot prior to the actual voting by registering their “religious conflict” with the elections board and then selecting their candidate of choice, either via absentee ballot or by submitting a ballot at one of several selected locations in the days before the official primary. While Charleston, home to the state’s largest Jewish population, boasts fewer than 40 shomer Shabbos families, Rabbi Davies said that there was wide interest within the community in finding alternative ways to vote. “A lot of people, even people who aren’t shomer Shabbos per se, are not comfortable voting on Shabbos; they have a respect for it,” he said. Charles Steiner, whose family traces its roots in South Carolina back over 100 years, was instrumental in having the “religious conflict” reason added to the election board’s list two election cycles ago. A political enthusiast, he has been heavily involved in several campaigns and is presently working to promote John Kasich’s bid for the Republican nomination. “In every primary, South Carolina has picked the GOP candidate who carried the nomination with the exception of last election, when Newt Gingrich won,” he said, touting the state’s status as having a solid and representative Republican constituency. Mr. Steiner said that while the broader Jewish population is “all over the spectrum” politically, the Orthodox community is more in step with South Carolina’s deep conservative values. “We always have high voter turnout,” he said. “It’s a very political state. 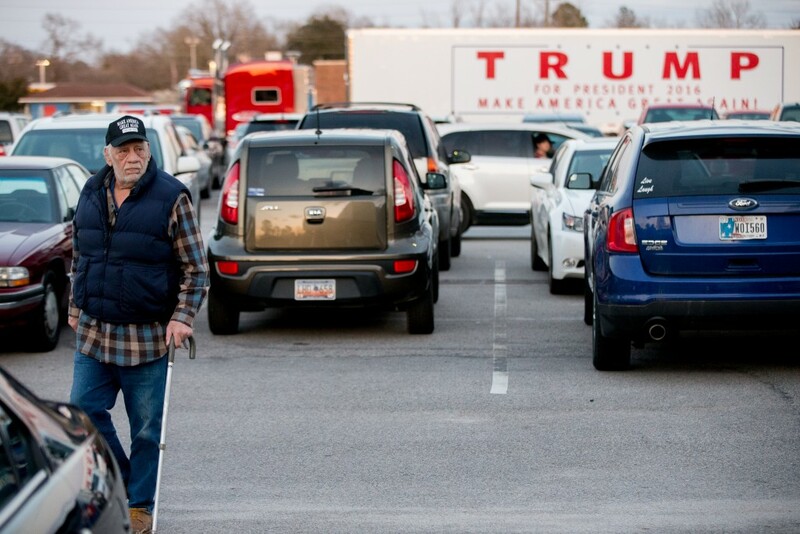 South Carolina has a tremendous amount of Evangelicals and veterans.” He added that religion, national defense and state’s rights are all high on the litmus tests for most of the state’s voters. Rebbetzin Ariela Davis, wife of Rabbi Moshe Davis of Charleston’s historic Congregation Brith Sholom Beth Israel, said that despite the small percentage Jews comprise of the general population, the strong influence of Evangelical Christians makes pro-Israel policy among the top criteria for many of the state’s voters. “You see license plates that say ‘South Carolina stands with Israel’ all over, and Cruz and Rubio always talk about it when they speak here,” she said. There are roughly 13,000 Jews in the state, but the community has been a constant presence since the colony’s founding in the 17th century and many Jewish families can trace their presence in the state back for centuries. “It’s a major source of pride,” she said. “The town still had a minyan every day through the Civil War.” She added that it goes on today, as well. Rabbi Heshy Epstein leads the Chabad House of Columbia, the state’s capital, which has a far smaller Jewish population than Charleston. He said that the city’s Jewish community is certainly sharing in the statewide excitement, but they are largely out of step with South Carolina’s political conservatism. This article appeared in print on page 3 of the February 19th, 2016 edition of Hamodia.